Jessica and Matt had known each other for years, but it wasn’t until Jessica moved back to Des Moines in 2016 that they finally had a chance to say more than a quick “hello” to one another. It wasn’t long after getting reacquainted that they were dating, and 6 months later … engaged! It was the holiday season when Matt popped the question. He suggested to Jessica that they start some of their own traditions and wanted to make dinner together as a way to kick off the season. As they finished eating, Matt picked an early gift from their Christmas tree for Jessica to open. It was an ornament frame with a photo of them and THE RING! He quickly got down on one knee and proposed. It wasn’t long after Jessica said yes that her family all came in to surprise her. It was an amazing night for everyone. Kelly and Adam used wedding professionals whom they had a personal connection with whenever possible. Their officiant, pianist, makeup artist and stylist/designer were all close friends. Everyone was excited and joyful to help, which meant a lot to the couple. Alex Jimenez of Catering DSM lead the catering and planning at the Temple with ease. Since Kelly and Adam wanted to have both the ceremony and reception there, he made sure the entire day, from getting ready to last dance, ran smoothly. Jessica and Matt wanted their wedding day vendors to feel like an extension of their family, people they knew they could trust to see their vision through. 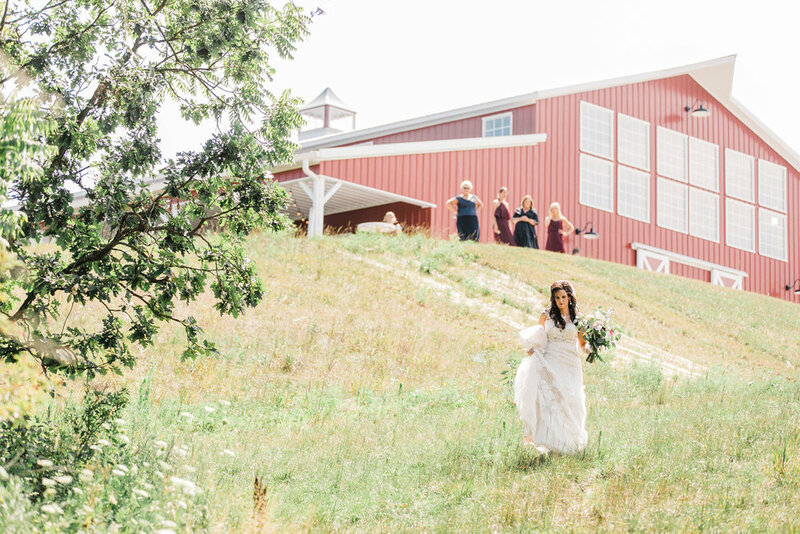 Sherry Peterson, their photographer and owner of Red Acre Barn, understood from the beginning. She helped them through many details. Jessica’s good friend, Melissa Hoffman, also put her heart into the florals and handmade touches. The bouquet she made brought tears to Jessica’s eyes it was so beautiful and full of love. All of their wedding day vendors had creative freedom to bring their own special touches to the day.